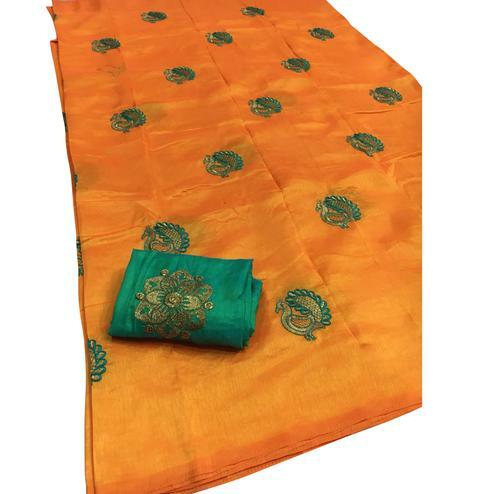 White cotton silk saree made out of cotton silk fabric and made rich with its zari weaving work done at border and lower part of pallu. 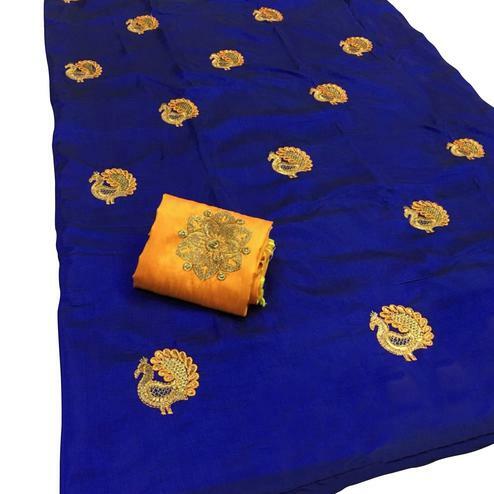 Teamed with banglori silk blouse enriched with golden embroidery finished with additional embellishments. 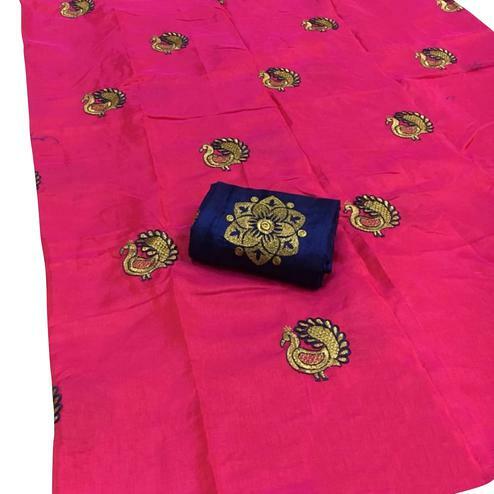 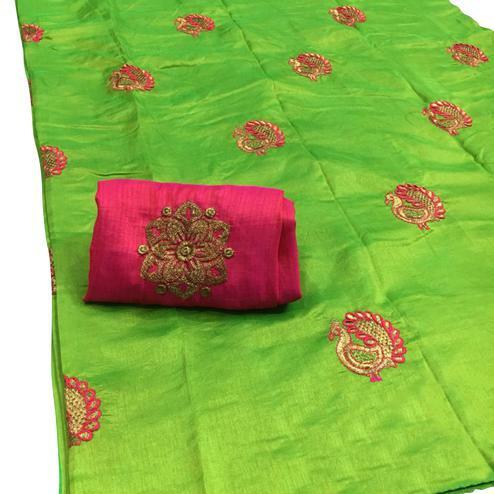 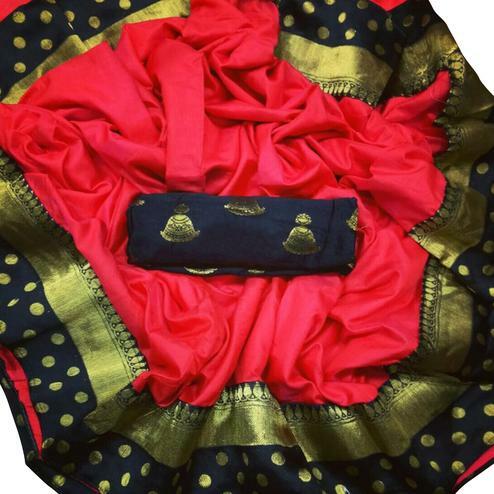 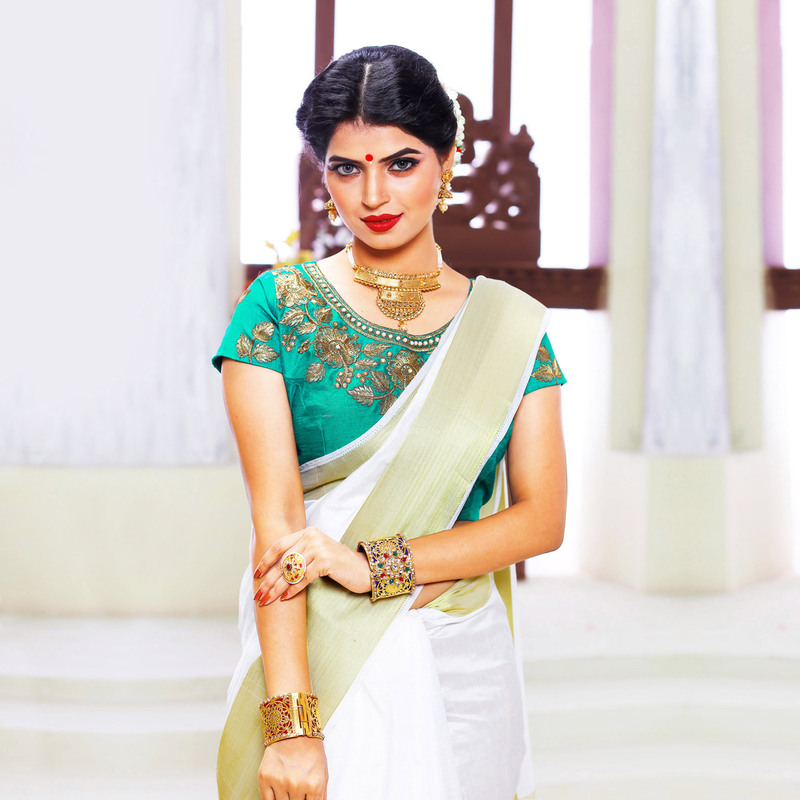 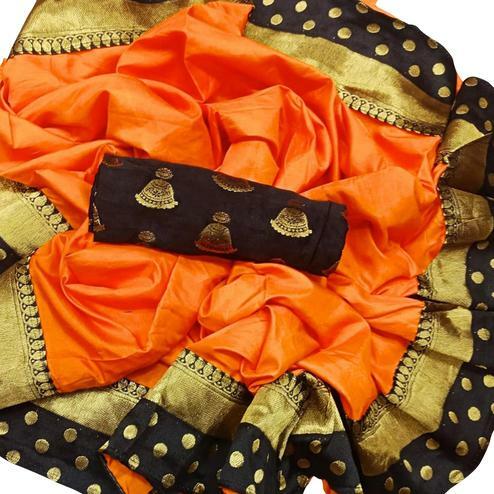 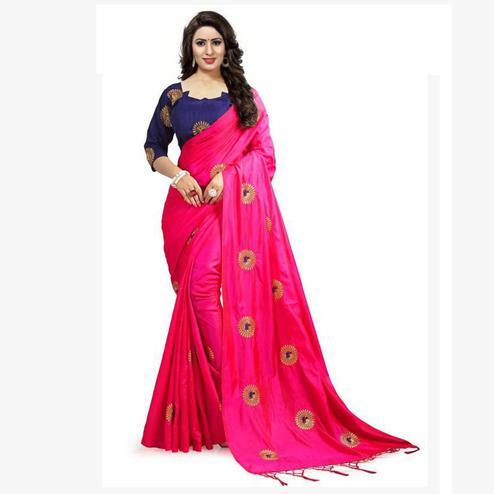 This saree is sure to provide the wearer a simple, sober and classy ethnic look. 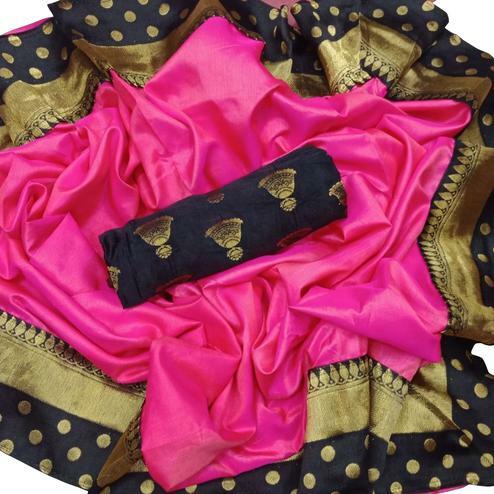 Buy this saree now.